Our friends at Perfect Elements have finally released their 45-minute film, “Perfect Elements: The Movie”. Instead of making this a commercial release, they’ve decided to just release it for free on Vimeo! Featuring Palli, Igor Galiev, Daniel Budai, Bryan Figueroa, Jason Lee, Kota Watanabe, Marcus Koh, Kentaro Kimura, Vashek Kroutil, and many more! Check out the filmmakers description below. Welcome to the world of yoyo. Yoyo is not just a game. It’s something bigger. You can see all this huge world with a place for everyone, here in this movie. It’s not only an hours of practice and learning tricks, but travels, adventures, parties… Tricks that was just a fantasy yesterday, today became a reality. It’s not an easy way, because without work and patience you can’t make even a first step, but that’s what makes it precious. Every new trick brings the joy of creation. It’s when sensation is what important, not the result, when you come on stage not attending to win, but to show your skills. It’s when you come back home all full of impressions and inspiration. It’s the awaiting of that very moment, when it appears in your head, perfect element! The 4A division at the US National Yo-Yo Competition saw a complete turn around from the World competition; routine after routine left you thinking, ‘hmm… that could take the cup’, which is just what the division needed. The youngsters like Alex Lee, Julian Guaurner and Stephanie Haight had some trouble on stage losing quite a few yo-yos but each still showed lots of promise and they gained much needed experience on the center stage. The present top players in this division are strong and the future looks bright. Flawless. That is what it took to win the 2013 National Yo-Yo Contest in offstring. There is a winner every year but there aren’t flawless routines every year. 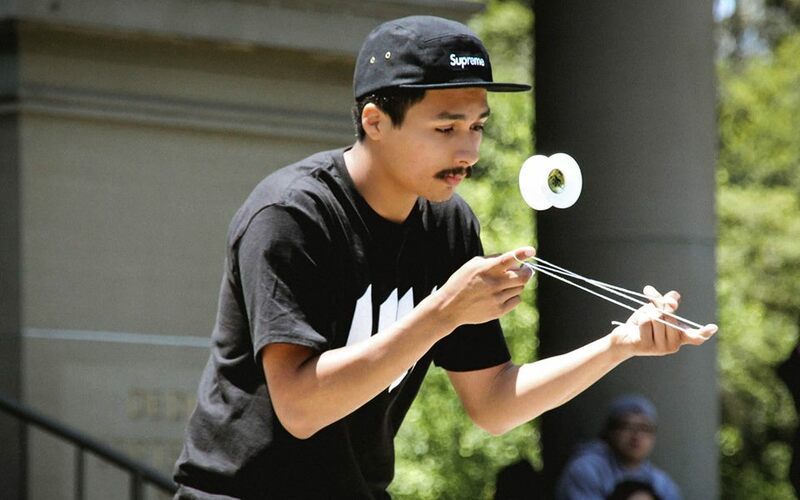 Ian Johnson entered the history books on Saturday with a routine that had zero minor deductions and zero major deductions–three minutes of flawless yoyoing in front of a huge crowd in Chico on the United States’ biggest stage. His routine had technically difficult tricks, flashy bangers and perfectly timed music cues. Ian’s routine was constructed so well and really speaks to his experience on the big stage. After Ian’s first two minutes looked dead locked with Bryan and Zac, his final minute continued to rise when Zac and Bryan’s final minutes had some difficulties albeit extremely, emphasis on extremely, minor ones but that was all it took to lose pace with the eventual champion. Ian was smiling and it was obvious from the crowd he was having fun on stage while hitting a routine he won’t ever forget–something that, at it’s core, is what the sport of yo-yo is all about–having fun. Zac Rubino had the best routine of his life and showed everyone what he is capable of; he proved he is world class, right there with Ian, Bryan and Michael. Add in Ben Conde and the United States has a scary top 5 when on their game. Zac came out hot hitting banger after banger, technical combo after technical combo and looked like he was going to take the title home for Chico and he finished very strong. His routine was topped only by a flawless routine which speaks to the quality of his. Additionally, Zac has worked quite a bit on his choreography and overall structure of his routine and definitely proved me wrong when saying he has difficulty outside. On almost any other day, Zac walks home with a cup with that routine and should be very proud of the show he put on. Finally rounding out the top three, Michael Nakamura came out with another beautiful routine to follow up his World Champion routine. He topped even Ian in his technical score which speaks to how dangerous he can be when he goes even cleaner but with a few drops and miscues, third was a pretty solid finish and probably the best he was going to finish after all the routines were completed. Michael may leave disappointed but absolutely backed up his World title and will continue to be a top contender in international competitions. Ben Conde was also right there hitting one his cleanest routines through the first two minutes but had a few drops in the end. Ben always brings a great show and will always remain at the top of the division when it comes to innovation. It will be Ben’s time one of these days but this Saturday was not quite it. Bryan came out with a strong routine that looked much more polished than his World routine and when Zac and Michael were announced in second and third, it looked like maybe Bryan managed to return to the top. Ian took down the six time defending champion Bryan Figueroa, who earned the admiration of the entire yo-yo community for accomplishing six years of dominance and creating the essence of excellence that the American offstring scene is now defined by. Bryan IS what it means to be a champion and while he did not finish at the top this weekend, he will always have the respect of every offstring player in the United States; but this weekend was Ian Johnson’s–perhaps a passing of the torch. Offstring will be one of the most interesting divisions to watch this year simply due to the strange nature of the World contest. There will be several players looking to prove something, and others still looking to make their name on the big stage. There is a great lineup of seeded players and semi-finalists and YoYoNews is providing some insight on who we believe to be in top contention for the title. UPDATE: Ben Conde is now on the registered list of competitors and thus has been added to this list. Bryan Figueroa is the six time defending champion. For that reason alone he has to still be considered a favorite despite his performance at the World contest two months ago. Chances are he will be out to prove he is still the best American offstring player. Little has to be said about his trick complexity and typical accuracy–he has dominated this contest every single year since 2007. The only thing stopping Bryan from capturing his 7th straight title would most likely be Bryan himself; however, this contest could be the turning point of the American offstring scene if Bryan loses. Michael Nakamura is one of the few players to have Bryan’s number as of recent and became only the second American player to take home the 4A World title. This obviously makes Michael the prime candidate to take down Bryan but the World contest and the National contest are different–outside versus inside, which plays the biggest role in offstring more so than any other division. Michael has a fast, accurate style with an ever improving choreography and will, similiar to Bryan, be out to prove why he is the World champion which will surely mean he is bringing his A game. Ian Johnson is undefeated through two minutes in 2013 winning all five contests he entered leading up to the World competition; if the World contest was a two minute routine, he may have been crowned the 2013 World Champion, but his final minute saw an unraveling that dropped him to fifth place. He did manage to take down Bryan Figueroa and Ben Conde despite the flawed final minute. Ian’s focus on choreography is readily apparent with themed shirts and gloves, and his trick complexity and creativity have each seen dramatic increases from last year. If he can put together a solid three minutes, he will be tough to beat. Ben just appeared on the registered player list for the 2013 National Yo-Yo Contest and he is a huge threat to take the title. If he hits his routine straight through he is probably near unbeatable but his tricks are just so hard that even he has difficulty hitting them consistently–add in the variable of outdoors and his tricks become even harder. Ben is the ultimate performer and always has a fun routine to watch. Whether Ben wins or not is in the air but what we do know is the audience sure wins. 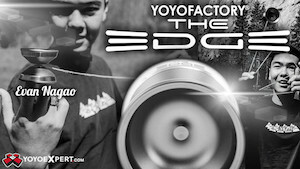 Zac is the darkhorse of the 2013 National Yo-Yo Contest in offstring. His tricks are there and his choreography has been in contests before but his consistency can be questionable at times due to the Conde-esque difficult nature of his tricks. Zac, a Chico native, has home court advantage but doesn’t seem to do well outside but he has the potential to step up and take the title if the door is left open and he put together a routine that has no switch outs. Alex is one of the most exciting up and coming youngsters. With the seed he will be able to focus on his three minute routine which will give him the time to improve his choreography and trick density. Every contest he has competed in this year he has improved dramatically and he was the first cut at Worlds in an extremely tough 4A prelim that saw four flawless routines. If any of the names listed above leave the door open for Alex, he may find his way into the top 3 but is probably a year or two off being a top contender–but look out. Julian Grunauer is on a similar level with Alex Lee in that he is improving dramatically but should set his sights on around top 5. 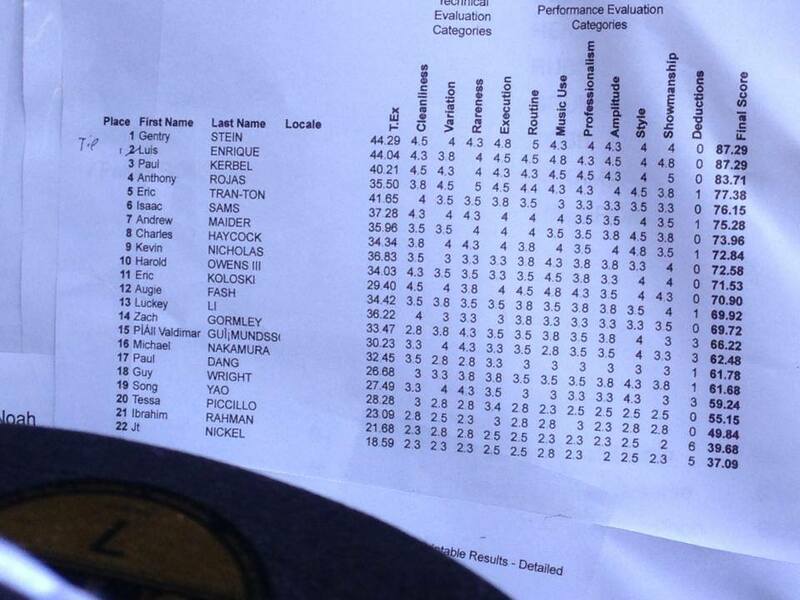 Right now, all of the names listed above are currently more poised to the fill the top 5 but Julian showed a few weeks ago at the Bill Lebowitz Classic that he has the skill to put on a top 5 performance but needs to get experience on the big stage and find a level of confidence that the above listed names have demonstrated many times before. This time we take a look at the history of the offstring (4A) division. The inception of the style can be traced back to the 1950 Duncan instructors pushing the limits of yo-yos. Rumor has it that Duncan demonstrators would sometimes show the kids a single offstring trick—a front mount, and high toss—at demonstrations; it was intended to be just enough for the kids to try, break their yoyo, and buy another one. It wasn’t until 1990 when Dale showed a group of people the concept and Jon Gates took the style to a whole new level by introducing diabolo and Single A concepts but most importantly: the offstring bind. Later Jon collaborated with John Higby, and with the popularization of ball bearing axles and rubberized rims, Jon was able to push the boundaries another step further. After Jon led the Japanese Hyper Viper tour of 1998, which featured offstring, the style spread like wildfire. With the ground work established, players like Hironori Mii and Sky Kiyabu began to add offstring tricks to their routines. Due to the unprecedented nature of the style, offstring was initially accepted within the Single A division before being moved to the X Division and then eventually being granted its own dedicated division. Today offstring is one of the most intense divisions—any mistake can end up with a yo-yo flying off the stage. Regenerations, solo-ham, technical, whip catches and so much more—the growth from a challenge among friends to a highly competitive world-wide division remains a testimony to the creative possibilities of yo-yo and the ingenious minds who foster it. One of the few players on these lists to not have a World title, Bryan’s six straight National titles are impossible to overlook. Dominating—which is perhaps a dramatic understatement—an extremely tough 4A division in the United States for six years, Bryan is clearly one of the greatest to play 4A. Bryan is known for his technically difficult tricks and extreme accuracy—rarely does he lose a yo-yo. With two near victories at the World stage, Bryan is a World title away from cementing his legacy further. One of the four players on our list to own two World titles, Naoto is the ultimate performer. His on-stage persona is more artistic than anything else, taking yo-yoing in a direction that highlights its expressive beauty. With a number of near flawless routines to cement his extreme professionalism, Naoto never seems to disappoint. Even in the midst of a less than perfect routine, Naoto maintains his composure—something only a true performer can do. The curse of 4A World Champion—no one has ever won back-to-back 4A World titles and after taking the top spot at Japan Nationals, Rei has perhaps the best chance ever to accomplish this feat. And with it, he will certainly have an argument for the greatest of all time. Already one of the most out-of-the-box thinkers in yo-yo, and now incorporating his brilliant Artistic Performance routine concepts into his 4A routines, Rei is truly a master of offstring. With no end in sight after taking the top spot over Naoto and company at Japan Nationals, he only seeks to climb the list. Tsubasa holds the interesting feat of winning both US and Japan Nationals. Not to mention his two World titles, his resume is only to be expected with the creativity he exhibits year after year. One of the few to make full combos that incorporated his ears, Tsubasa is undeniably one of the most ingenious offstring trick creators. Add in his arm stand whips & jump behind the back whips and it is clear Tsubasa belongs among the greats. The first ever to capture two world titles, Eiji is the original offstring superstar. Creator of the classic trick which bears his name, Eiji Regeneration, Eiji pioneered offstring and pushed it to levels unheard of. With his signature extremely long string, Eiji was at the top of the offstring division for many years. Incorporating full arm grinds, long regeneration combos and intricate string tricks, Eiji was diverse in his repertoire; Eiji also had an aura of confidence and swagger which emanated on stage. All of these qualities came together to cement his place at the top. Who do you think are the greatest offstring players of all time? Feel free to post your thoughts below! 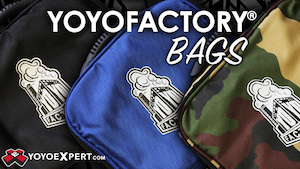 The always amazing Bryan Figueroa has announced “Unknown”, an apparel and accessories company that is geared towards yoyo players. The first product to be released is the Descender, a leather yoyo sling designed to accommodate everything from undersized to offstring throws with easy access. All Unknown products will be hand-made in California. Descender yoyo holders are available now for only $19 each, only at YoYoBestBuy.com.